Interview by Lori Bizzoco. Written by Delaney Gilbride. The queen of reality TV, SallyAnn Salsano, has taken VH1 by storm and is back and better than ever! The self-made American television producer is the CEO and president of 495 Productions, which launched in 2006 and has been a success ever since. Salsano has produced a number of widely-loved television shows, including MTV’s Jersey Shore with its equally successful spin-off Snooki & JWoww. 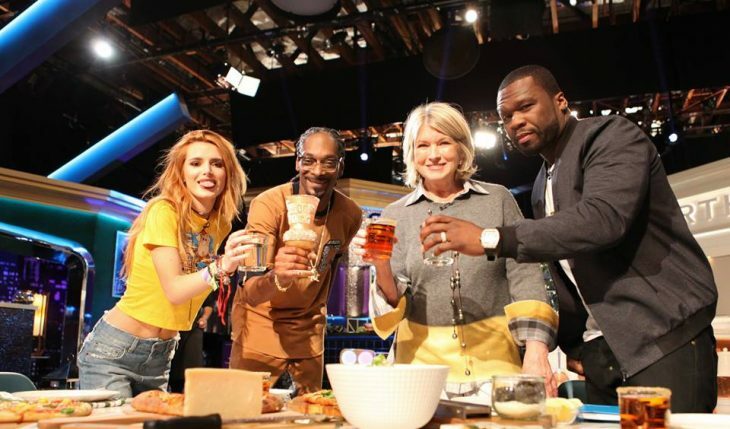 The entrepreneur has also produced popular reality TV series such as Friendzone, Party Down South, Blue Collar Millionaires, and the new VH1 show that everyone has been raving about, Martha & Snoop’s Potluck Dinner Party. Interview by Ashley Pacifico. Written by Stephanie Salsini. Fans of Jersey Shore and Snooki & Jwoww recognize Deena Cortese as the hilarious little “meatball” who is best friends with Snooki. In our exclusive celebrity interview during OK! Magazine’s New York Fashion Week celebration, CupidsPulse.com asked Cortese and her boyfriend Chris Buckner about what we could expect to see from them on the reality TV show Couples Therapy as well as their best fashion dating advice. …Don’t miss the rest of our interview! Click here for more. Be sure to catch tonight’s episode of Single Ladies on VH1 at 9 p.m. ET! For more celebrity video interviews from CupidsPulse.com, check out our YouTube channel. From VH1’s Mob Wives to Miami Monkey, Executive Producer Jennifer Graziano transformed the realm of reality TV. She now continues to expand her resume with exciting new projects like releasing a classic, family-inspired Italian cookbook and continuing the recent launch of reality TV star Big Ang’s new wine line. Related Link: “Bigger is Better”: Mob Wives “Big Ang” Launches New Wine Line in NYC! To learn more about Graziano, follow her on Twitter @jenngraziano. Don’t forget to tune in on Thursday, December 5th at 10 PM ET/PT for the new season of Mob Wives: New Blood on VH1! Kyle Keller. Photo courtesy of Anderson Group PR. …Can’t wait for the premiere of ‘Tough Love: Co-Ed’? Click here to learn more about Kyle! When Daphne Wayans got divorced, she didn’t let her broken marriage keep her from finding happiness — or stop her from making a name for herself. The ex of comic Keenen Ivory Wayans will be on the upcoming season of ‘Hollywood Exes’ with an agenda to present herself not as an ex-wife but as a woman. “I’ve been avoiding being in the public eye for a very long time,” Wayans says. “I stopped looking at how I couldn’t do it and started looking at how I could. I’m not very interested in necessarily being famous, but I’m interested in the good that comes out of it.” …On the edge of your seat? Click here for more. 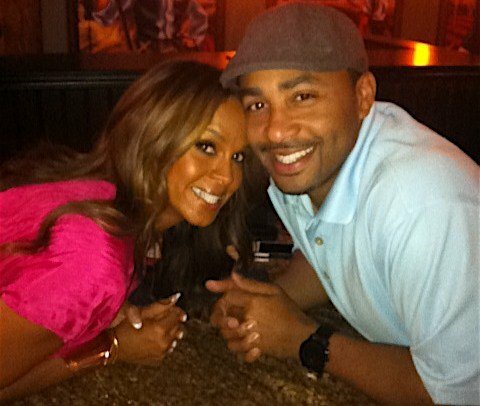 Sheree Fletcher and Terrell Fletcher. Photo courtesy of Sheree Fletcher. In the first season of ‘Hollywood Exes,’ which premiered on VH1 on Wednesday, June 27, viewers will see the real life of Mrs. Sheree Fletcher – not to be mistaken for that of ex-Mrs. Will Smith. In the season premiere, Fletcher goes to dinner with the other cast members, where she meets Andrea Kelly, the recent divorcee of R&B artist, R. Kelly. Kelly desperately seeks advice from the other women about how to get through the hurt of a break-up, and Fletcher encourages her to focus on her kids – something that she did in the wake of her own divorce.